Previously, a B2 account could only have 1 set of credentials, with full access to everything in your B2 account. 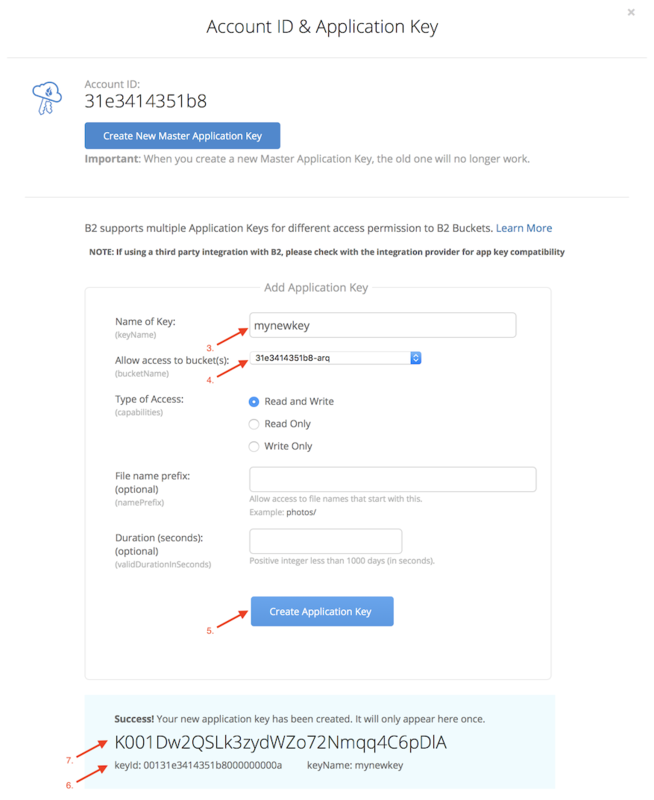 Now Backblaze has added application keys, so you can create a separate set of credentials with access to only 1 bucket, for example. We’ve updated Arq in version 5.13.1 to support application keys. Click on the “Show Account ID and Application Key” link. Enter a name for your new key. Choose which bucket you’d like it to have access to (optional). 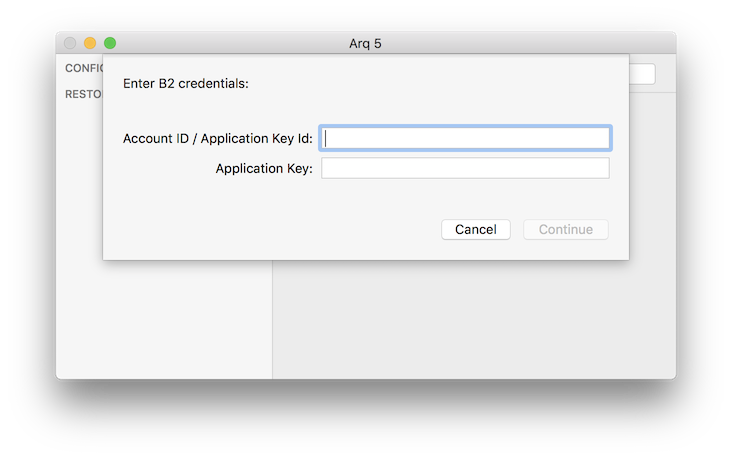 Copy the “keyId” into the first field in Arq. Copy the key (the long string in the larger font) into the second field in Arq and click Continue. If you’re configuring Arq for the first time, you’ll be asked whether you want to set up backups or restore files. Click on “Set up backups”, choose an encryption password when prompted, and write the password down somewhere safe(!). 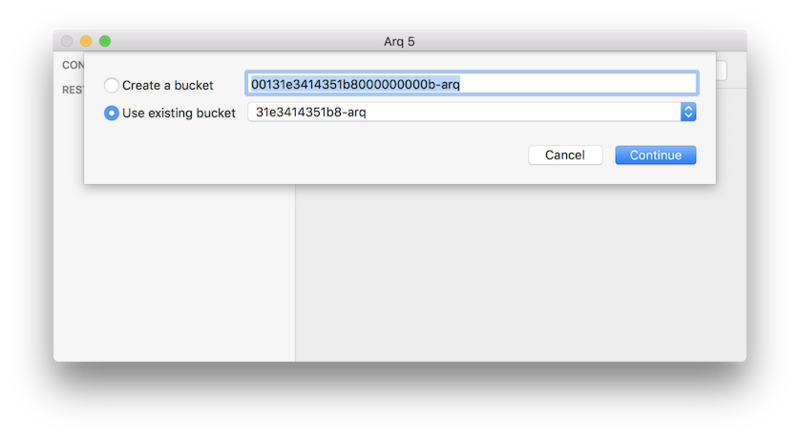 If you’ve already configured Arq with other destinations, pick “Add Folder to Backups” from Arq’s menu to add the folder(s) you want backed up.